The tecno camon c9 which happens to be one of tecno's most anticipated devices is now available on Konga. So for all those who have been asking for where to get the device, here it is. 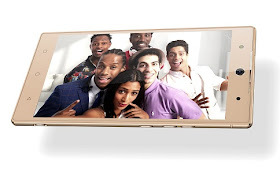 The Tecno camon C9 which has a 5.5inch IPS display with a resolution of 1920 x 1080 pixels is powered by mediatek MT6753 64bit octa-core processor with a clock speed of 1.3ghz with Mali-T720 GPU and it runs on hios v1.0 which is based on the latest android version 6.0 marshallow. It has a total RAM of 2gb and a 16gb ROM which can be expanded with up to 128gb micro SD through the SD card slot. 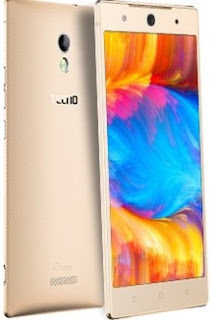 It has a 13mp rear camera with flash light and also a front facing camera of 13mp which also features flash light. It also has the iris scanner sensor for added security. The device is packed with a 3,000mah lithium ion battery, supports dual micro sim card with 4G FDD LTE network and its available in two colour variants which are gold and sandstone black. The device is now available on konga with free pouch and gear band at N54,999. You can order for yours by clicking on this LINK.